I really like the point-of-sale cause marketing program A. C. Moore and Easter Seals recently completed. Even though it was a national program, it has some good lessons for local cause marketers like me (and probably you). The breakdown of the program was simple. At A. C. Moore's 136 stores cashiers asked customers to donate a dollar to Easter Seal'sAct for Autism campaign and together they raised over $141,000. Great results, but here's what makes this cause marketing effort noteworthy. A special in-store event. 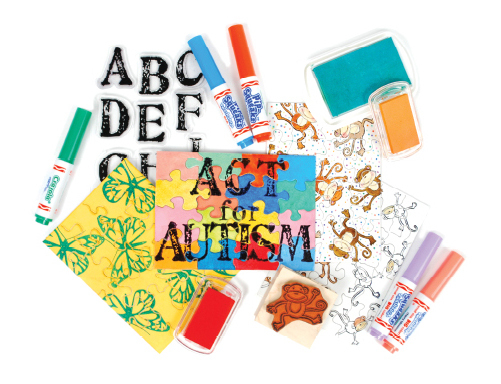 During the point-of-sale campaign, A. C. Moore invited customers to a Make & Take crafting event in stores that involved a jigsaw puzzle (for autism awareness). What a great combination of crafting and cause! I was thinking how great it would be if we did an in-store pumpkin decorating event at iParty stores during their October point-of-sale program for us. How could you enhance your next point-of-sale cause marketing program with an in-store event like A. C. Moore did? Low traffic stores can produce. Have you ever been into an A. C. Moore craft store? My kids love them. They're busy, but not like a supermarket is or a Walmart or Target. In short, if you plan to raise a lot of money at the register you better be working with motivated employees who can convince nearly every shopper to give. And motivated employees is just A. C. Moore had, especially in their mid-Atlantic states. Stores averaged over $1,000, but A.C. Moore stores in the Philadelphia and Wilmington, DE region collected more than half of the total funds, with the Wilmington store earning the top fundraising spot. I often stress the importance of finding chains with lots of foot traffic and lots of locations. However, A. C. Moore proves that how deeply employees connect with a cause may be the most important factor of all. When you're identifying retailers for cause marketing programs sales skills matter too. Check out this post I wrote a while back on working with quick-lube chains. Despite low foot traffic compared to other type of retailers, quick-lubes raise good money at the register because their employees care (of course!) and are well trained. In short, although they have fewer customers to ask--some quick-lubes only average 50 to 60 customers a day--they get more yes's than the untrained cashiers who sees more customers. In A. C. Moore's case, motivation helped craft a big success for Easter Seals. Thanks to my fellow cause marketer Steve Drake for bringing this great program to my attention!